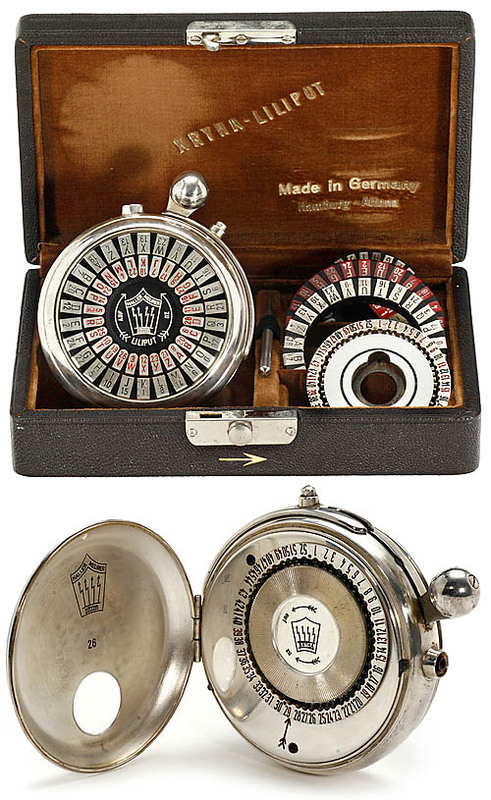 Complete outfit of the German watch-size coding machine by Alexander von Kryha, Berlin. With silver case and original box. A. von Kryha designed 3 different models based on the same patented principle: The large and well-known "Standard", the "Electric" and, rarest of all, the small portable "Kryha-Liliput".